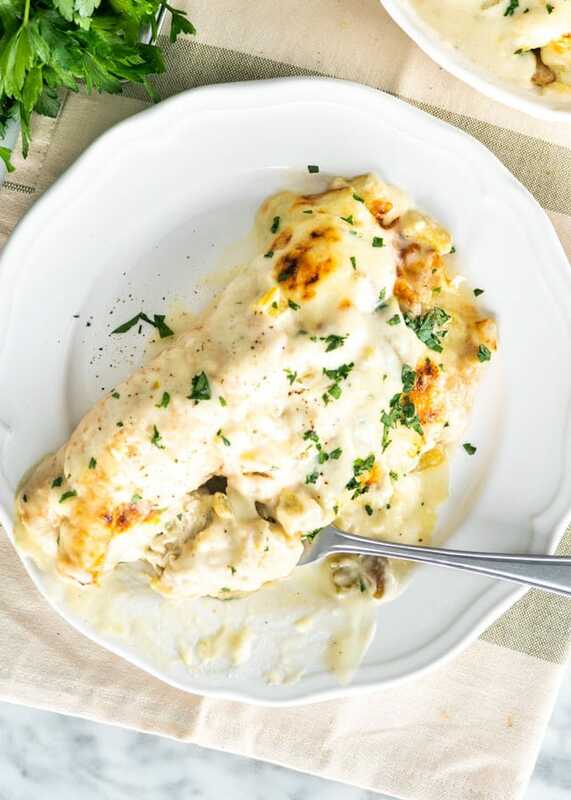 These White Chicken Enchiladas have the easiest cream sauce you could ever make, super delicious, cheesy, gooey, melt in your mouth enchiladas! 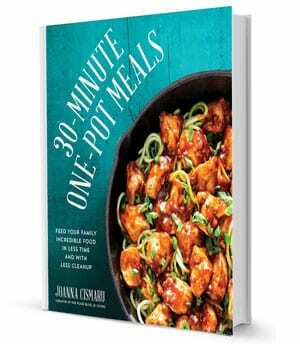 Perfect for an easy and quick weeknight meal, ready in a total of 40 minutes start to finish! 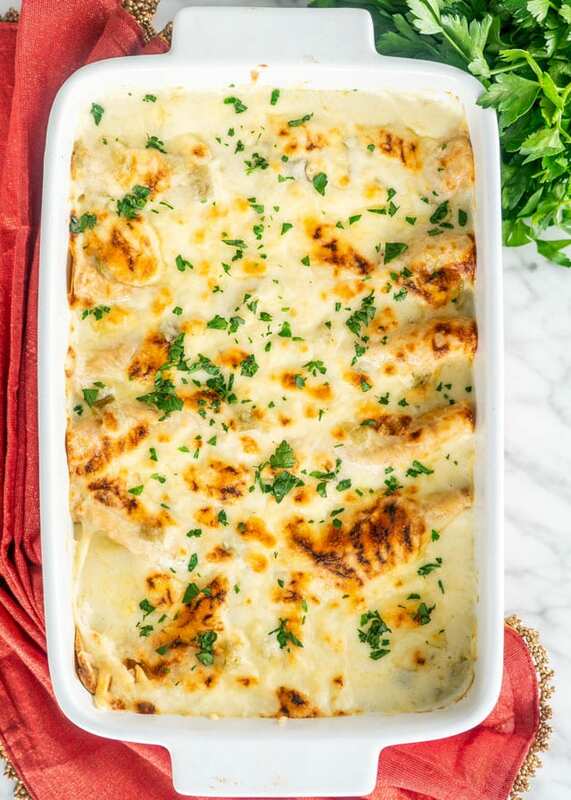 If you ever crave comfort food, if you ever feel the need to eat something creamy and cheesy, these white chicken enchiladas will hit the spot. These enchiladas are simply the best enchiladas ever! My recipe is a simple, fool proof recipe that you’ll love and want to make over and over again. Enchiladas are one of my favorite things to eat whenever I go to a Mexican restaurant. What am I saying, enchiladas are one of favorite dish ever, period! This is an old recipe I’ve had for years and been making for years because enchiladas truly are my comfort food. It’s the sauce that’s so good it makes me lick my plate clean. It’s a sour cream based sauce that’s super easy to make and ready in 5 minutes. This will be a meal that your kids would run to the dinner table for, not only them but you as well. Totally a crowd pleaser. There are so many ways you can make enchiladas. You can fill them with anything, top them with anything. But these white chicken enchiladas are to die for and my favorite kind. The filling ingredients are cooked chicken, mozzarella cheese and green chile enchilada sauce. I usually buy a rotisserie chicken and use the breast or thigh meat for this recipe. Assemble the enchiladas by filling each tortilla with about 1/4 cup of the chicken mixture then roll it up and place it in a casserole dish. Make the sauce by first making a roux with flour and butter in a saucepan. Cook for a minute then add the chicken broth and whisk until smooth. Let it cook until the sauce is thick and bubbly. Stir in the sour cream and green chiles. Pour this sauce over the enchiladas then top them with cheese. Bake for 22 to 25 minutes or until the top starts to brown and the sauce is bubbly. All that’s left to do is serve and enjoy this comforting dish. I think this comes down to a personal preference. I personally like flour tortillas, however if you’re looking for a bit healthier meal, then I suggest going with corn tortillas because flour tortillas may contain refined flours and lard. The texture of the enchiladas can also differ based on which tortillas you use. Flour tortillas can made the enchiladas have a more doughy texture, which doesn’t bother me. So use whatever you prefer. I personally prefer to serve these on their own, sometimes with some avocado slices and some chopped tomatoes. You can also serve them with some guacamole and chips or along with some Mexican rice. 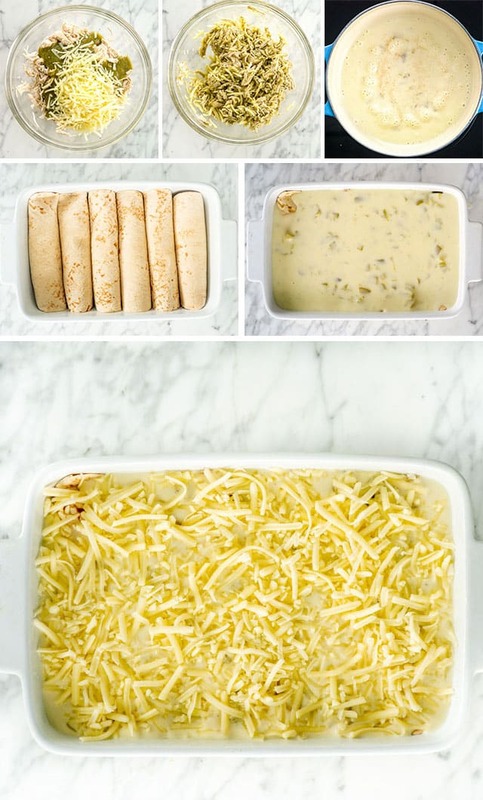 Store leftover enchiladas in an airtight container in the refrigerator for 3 to 5 days. Follow this recipe up to and including step 5, where you finish preparing making the white sauce. Let the sauce cool completely. Place the rolled enchiladas onto a baking sheet lined with parchment paper, place in the freezer, and then freeze completely. Take out the frozen rolled enchiladas and place them into a freezer bag, then freeze. Flash freezing the enchiladas separately first will ensure they won’t stick together. Freeze the sauce separately in an airtight container. When ready to cook, add the frozen enchiladas to a casserole dish and reheat in an oven at 350 F degrees. The sauce can be thawed in the refrigerator over night or microwave it for a couple minutes. Pour over the enchiladas, and continue the recipe from the instructions. Preheat oven and prepare baking dish: Preheat your oven to 350 F degrees. Spray a baking dish with cooking spray. I used a 9x6 baking dish. 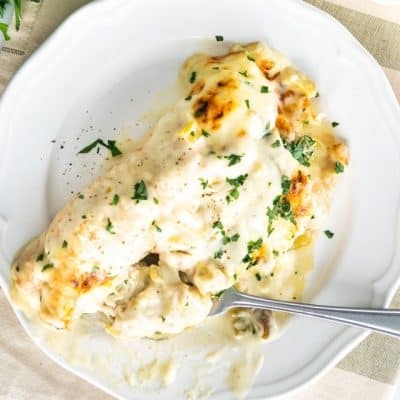 Prepare filling: In a medium bowl combine the chicken 1 cup of mozzarella cheese and the enchilada sauce. Assemble enchiladas: Take a tortilla, top with about 1/4 cup of the chicken mixture, then roll it up and place in the prepared baking dish. Continue with all the tortillas until they are all filled and rolled. You should have enough chicken mixture to fill 6 tortillas. Make sauce: In a saucepan, melt the butter and whisk in the flour. Cook for a minute then add the chicken broth and whisk until smooth. Let it cook until the sauce is thick and bubbly. Add the sour cream and green chiles to the saucepan and stir. Remove from heat. Taste the sauce and season with salt and pepper as necessary. 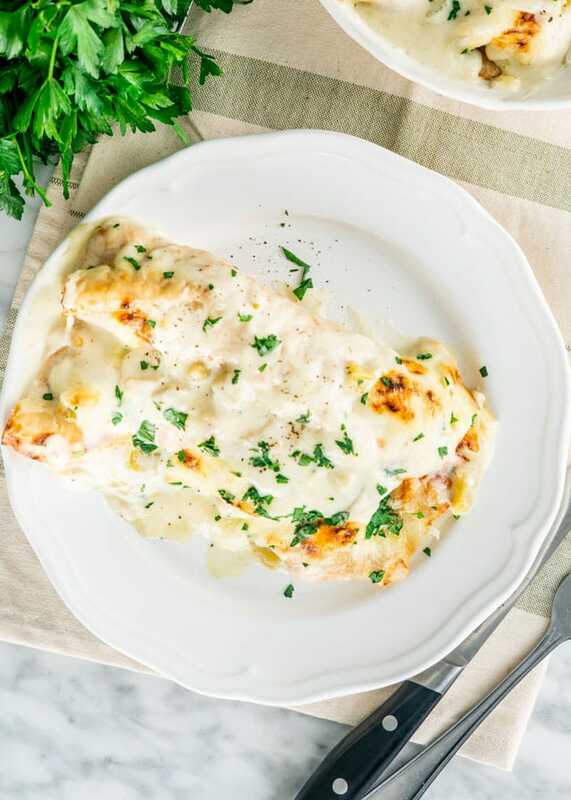 Pour sauce over enchiladas: Pour the sauce over the enchiladas and top with the remaining mozzarella cheese. Bake: Bake for 22 to 25 minutes or until the top starts to brown and the sauce is bubbly. Garnish and serve: Garnish with parsley or cilantro and serve. For the chicken you can use store bought rotisserie chicken, or you can use this recipe to cook the chicken breasts. Nutrition: Nutritional information assumes 1 enchilada plus sauce. 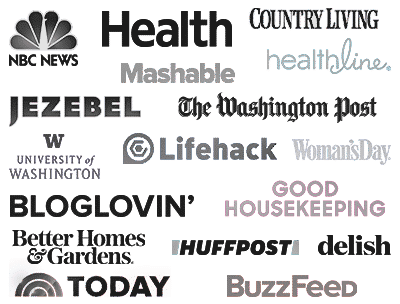 Please keep in mind that nutritional information is a rough estimate and can vary greatly based on products used. My husband and I loved it! We used low carb tortillas to make it a lower carb recipe. Will make again & probably add jalepenos to the sauce! I tried these tonight for the first time! Mine ended up runny and soupy 😭😭 The flavor was good, but the texture was all wrong. My husband is a good sport, luckily. What am I always doing wrong??? Different brands for ingredients can change the outcome! You can always use less chicken broth, or you can put the sauce in a pan on the stove top and add a cornstarch slurry (equal parts water and cornstarch). Let everything come to a boil, and whisk well until it’s thickened up. You can add a splash of the slurry at a time until you’re happy with the consistency. My daughter and I wanted to recreate a dish her grandmother used to make and yours seemed spot on. Originally, an exchange student from Mexico made the dish for our family. This recipe was easy enough and I had many of the ingredients in the house. We always serve this dish with fresh citrus and apple salad. We were very pleased with the results and the leftovers didn’t last long. We’ll make it again. Both us did like serving with salsa verde. We might add some jalapenos next time. These turned out AMAZING. My boyfriend and I were scraping out plates! Will definitely be one we make again. It was great! I poached the chicken breasts in chicken broth prior to shredding them, and that worked out well. Great comfort food for winter. Great and easy recipe. Thank u so much for sharing!